Pipe Band Week starts on Saturday 3rd July with the Pipe Band on parade in the Market Square at 7.30 pm. 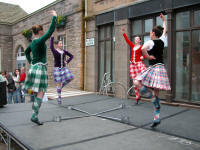 The Band will play a selection of tunes and there will be Highland Dancing from the Elise Lyall School of Dance. Pipe Band Week Talent Showcase @ Wick High School. There will be Prize Bingo at the Francis Street Club, 8.00 pm A host of excellent prizes will be on offer plus raffle and bottle stall. 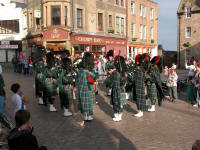 The Pipe Band on parade in the Market Square at 7.00 pm. 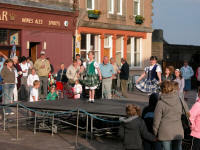 A Scottish Variety Show starting at 8:00 pm . The Pipe Band will play a selection of tunes, a Scottish Dance Band, a selection of vocalists, and there will be Highland Dancing from the Elise Lyall School of Dance. Pipe Band Trail ~ the band will be travelling around the county playing in Keiss at 7pm , Watten at 7.45 pm, Thrumster at 8.45pm. A Quiz night in the Nethercliffe Hotel , Louisburgh Street, Wick. 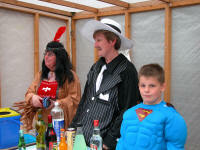 The most popular event of the week – the Fun Night. 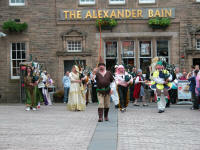 Again this is held in the Market Square and the Pipe Band will be on parade but not as you would normally see them! For this one night in the year the Pipe Band parades in fancy dress – see if you can spot your favourites under their disguises!